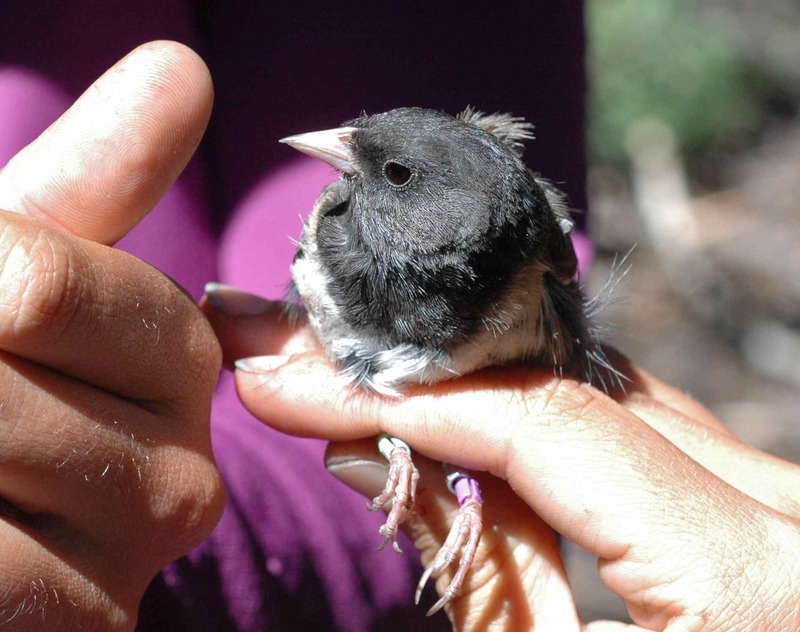 Not that I have favorites, but AMLE (Amelie) is my new favorite junco. 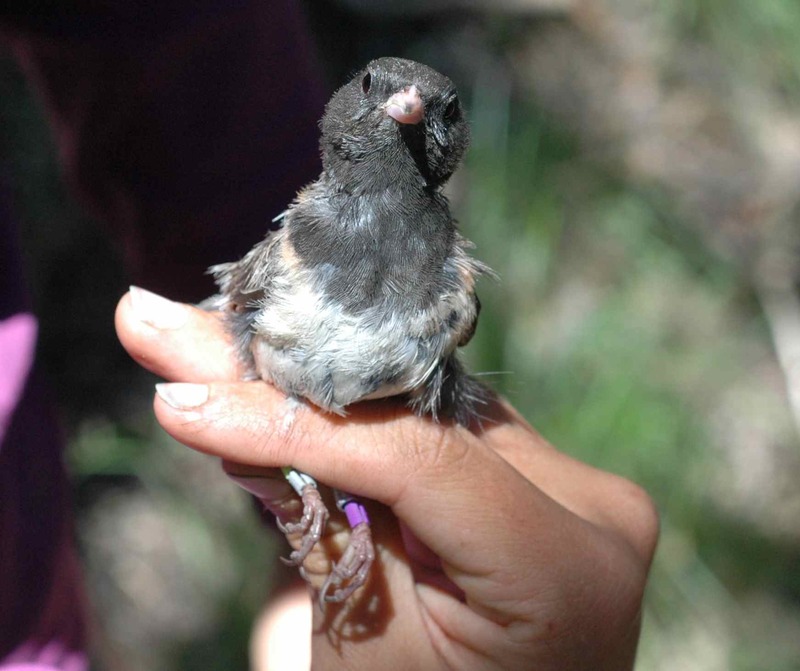 Most juncos get a bit dejected by the end of the banding process (don’t worry—as soon as they realize we’re letting them go, they perk up), but she was sharp the entire time. When it was time to take pictures, she glared daggers at us. When I lowered her to get a better shot of the top of her head, she held her gaze—and her head—steady. Her body went down but her head stayed up. She also kept a sharp eye on me. If you think her bill looks long, you’re right: she has an unusually long bill. 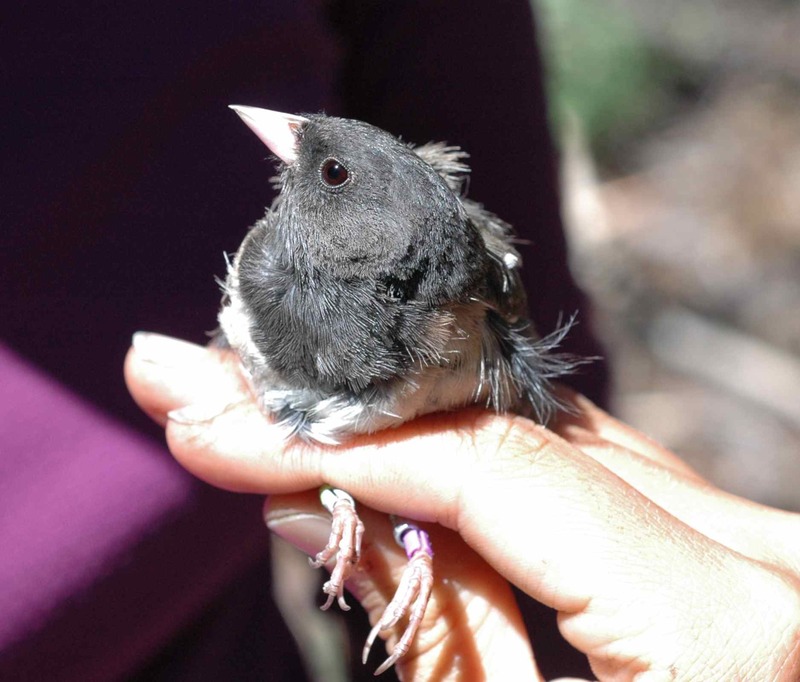 She also has a surprising amount of white in her tail for a female junco. 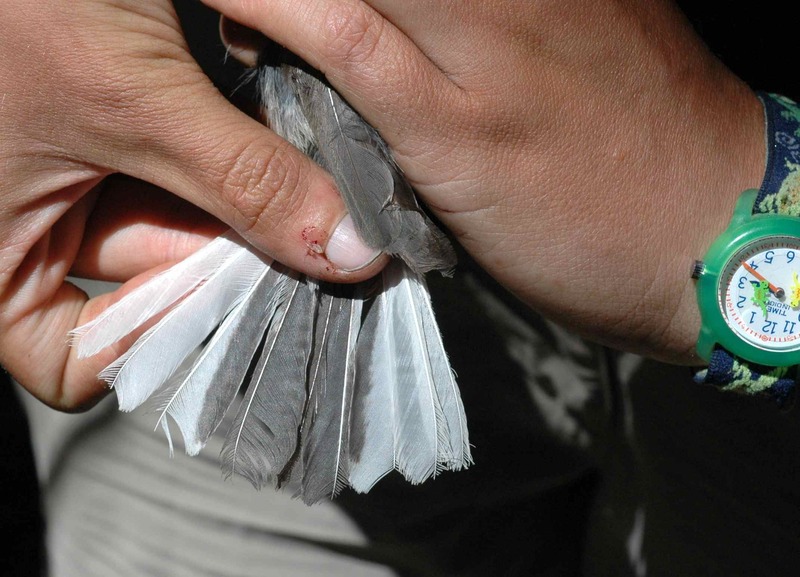 Usually females only have white on their outermost two tail feathers, but she has white on her third-outermost feathers as well. 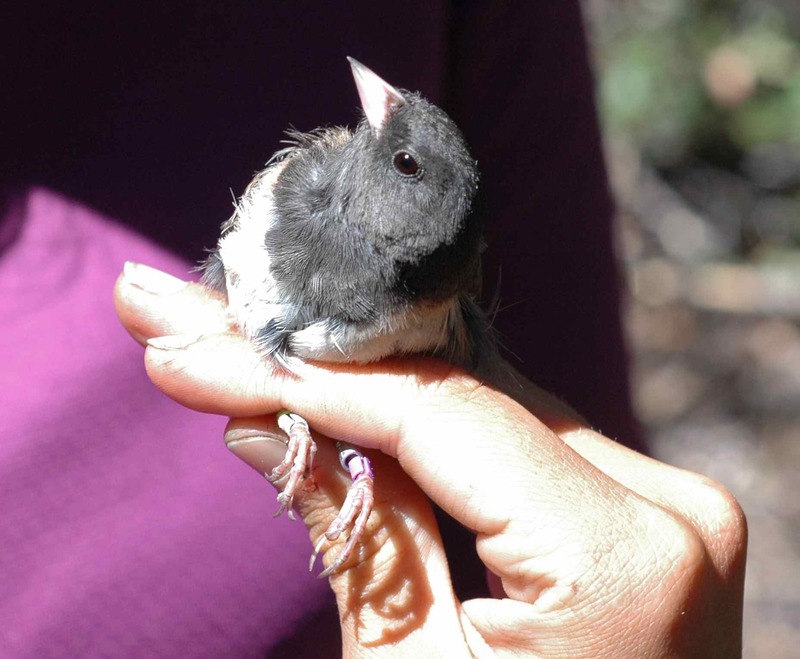 AMLE is an unusual junco indeed. I hope her chicks survive so I can see if they are unusual too! 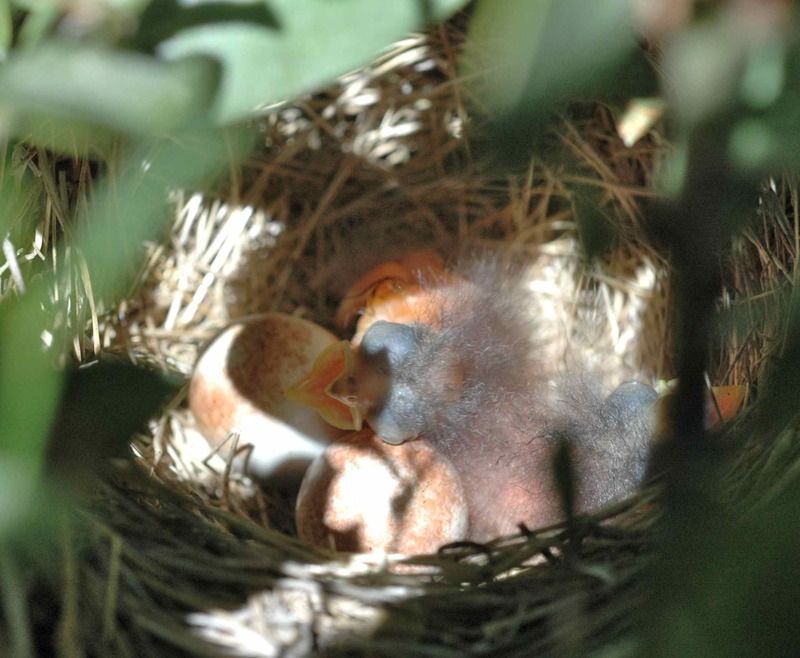 They do look a bit strange now, but that’s just the normal pink-alien look of new junco chicks. 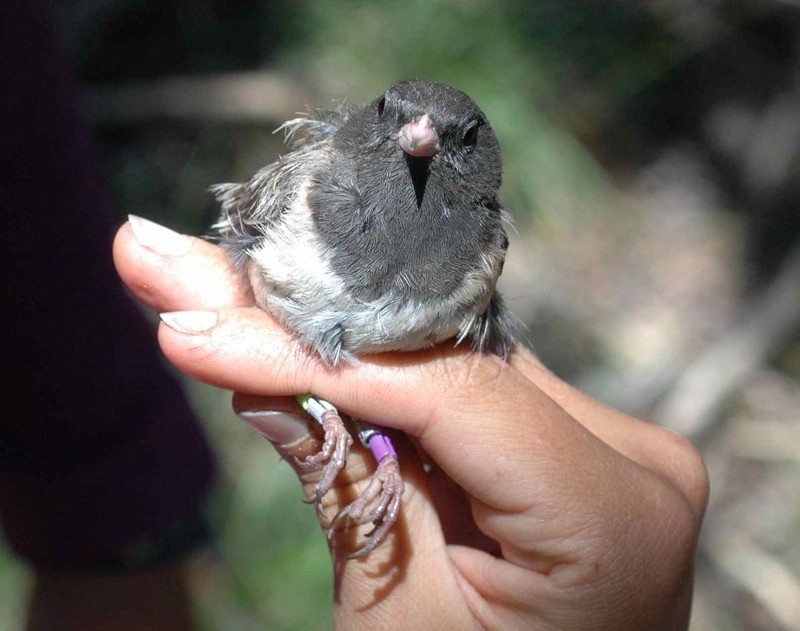 This entry was posted in DEJU, notable juncos and tagged AMLE, chicks, Dark-eyed Junco by toughlittlebirds. Bookmark the permalink. The unusual ones are always more interesting. Is she named after dark-eyed Amelie in the film (Audrey Tautou)? Yes, although I didn’t make the “dark-eyed” connection – nice! I bought a set of books this evening that you would think were pretty neat. I thought of your site when I was buying them.